Remove dirt from windows after repair. 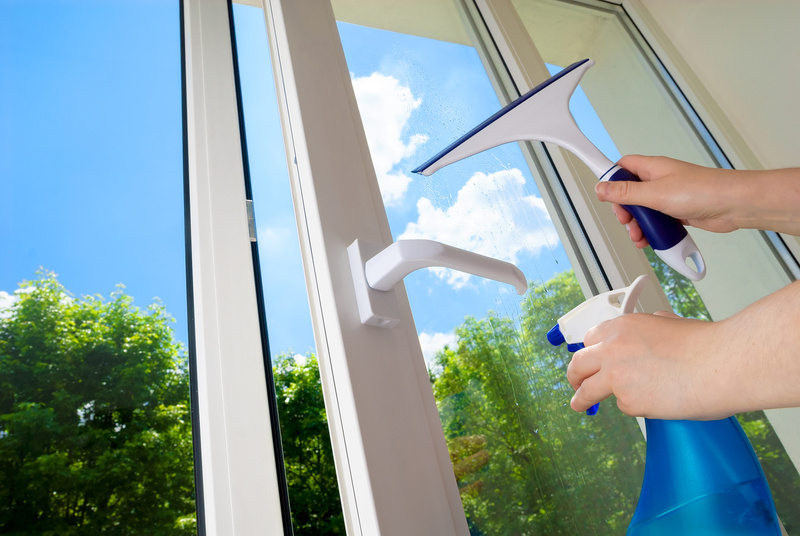 If you did not think about the protection of windows during repairs in the apartment, on the white surface of the plastic can appear stains which will not be easy to remove. We have made for you a small selection of recommendations how to handle this situation without causing damage to designs. It is better if you protect the window with self-adhesive film during repair. If for some reason this was not done, then deal with the spots of paint will not be easy. However, do not be aftaid of difficulties and try different methods of dealing with pollution. The easiest task is to remove paint stains from glass. First, due to its hardness, it does not react with the substances forming repair means. Therefore, most of the dirt you can remove with warm soapy water. That failed to wash, can be removed using a special scraper for glass. This scraper does not scratch glass surface and leaves no trace on it. To clean the plastic frame is not so easy. Cleaning method will depend on the type of spots. They may be superficial or permanent, which caused pigmentation of PVC. Surface stains are often formed from drops of paint or plaster, accidentally fell while painting the walls. In any case, we should start from simple ways to complex ones. First, try to remove contamination with soap solution. Maybe that will be enough for most contaminants. For more stubborn stains, try a melamine sponge dipped warm water without adding detergents. However, do not rub the stain too hard, as the sponge has the properties of abrasive. Ordinary baking soda has bleaching properties and is an excellent cleaning agent. Try to dissolve it in warm water and rub the stain with this solution. Soda softens water and helps to neutralize any odors. If these simple means do not help, try to use a scraper as in the case with glass. Frame should be rubbed very carefully, do not press hard on the surface of plastic not to cause scratches. At the rounded areas it should not be used, for the successful cleaning the surface should be smooth and large enough. In any case, do not attempt to use the knife. Unlike scraper, it is much easier to scratch frame with it. In addition, you can cut yourself.